Asked about suggestions from Sen. John McCain of Arizona and other Republicans that the leaks came from someone trying to boost the president’s political standing, Kerry said they are wrong. On the leaks themselves, Kerry said they don’t make sense to him. “I don’t understand the mentality of an American citizen who thinks they’re advancing anything by leaking classified information of any kind but which puts the country potentially at risk,” Kerry said. Asked by CNN if the New York Times should have declined to publish recent articles about U.S.-led cyber attacks on Iran’s nuclear facilities and other intelligence activities, Kerry said he’s not sure the information met a “need to know” standard that might justify the publication. “I personally think there is a serious question about whether or not that served our interest and whether the public had to know and it was of that kind of interest. To me it was such a nitty-gritty, fundamental national security issue and I don’t see how the public interest is served by it. I do see how other interests outside of the United States are served by it. So, I think there is a very serious question about that,” he said. Moments after making those remarks, Kerry returned to a Capitol hallway to clarify to CNN one important point about his views on the publication of classified documents, related to his personal history with the Vietnam War. The Pentagon Papers were a Defense Department study critical of the government’s handling of the Vietnam War. The New York Times published stories based on the leaked documents in 1971. 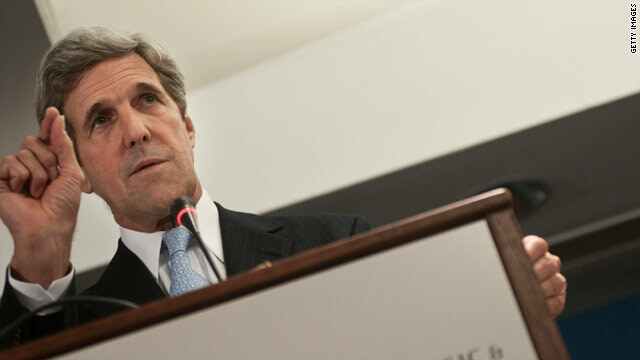 Kerry, who served in Vietnam, was a vocal opponent of the war. Holy smokes, here we go again, " the reporters said, " ordeal ! This makes me laugh, everyone actually believes the reporters ? Have reporters words become golden ? Look at what happen to General McChrystal. His career was taken from him by a reporter. A year later, the investigation concluded that General McChrystal had never said one single disparaging remark. Yep, but for some reason the big media thknis this guy is going to appeal to people from the South. That shows you how much of a box these reporters and pundits live in. Lawrence (Larry) Franklin The former Defense Intelligence Agency analyst with expertise in Iranian policy issues who worked in the office of Undersecretary of Defense for Policy Douglas Feith and reported directly to Feith's deputy, William Luti, was sentenced January 20, 2006, "to more than 12 years in prison for giving classified information to an Israeli diplomat" and members of the pro-Israel lobbying group American Israel Public Affairs Committee (AIPAC).